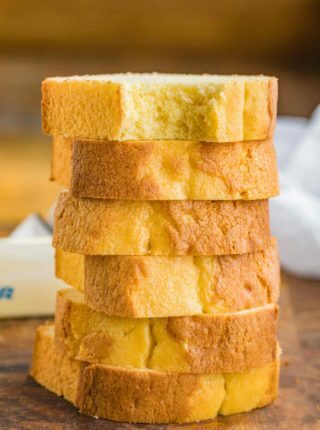 Classic Yellow Cake is an old fashioned dessert recipe made with milk, flour, sugar, eggs, and butter, and flavored with vanilla extract, ready in under 60 minutes! 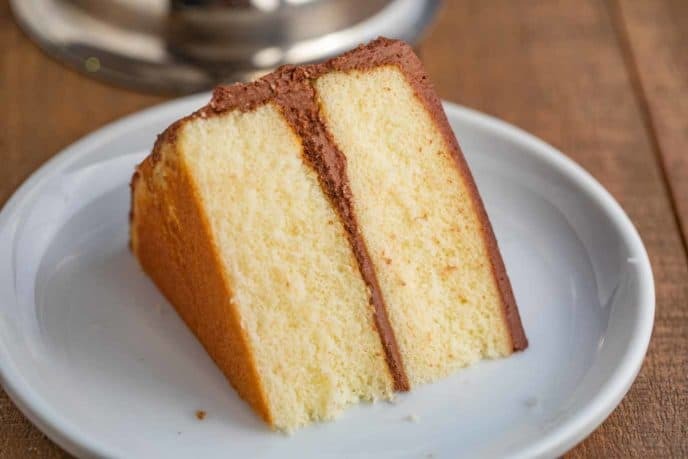 We know how important it is to have the best possible cake recipe when holidays or birthdays come around, and this yellow cake goes perfectly with Rich Chocolate Frosting, Easy Whipped Cream, or Chocolate Ganache. Classic Yellow Cake is the perfect old-fashioned recipe, and my go-to for holidays and special occasions. 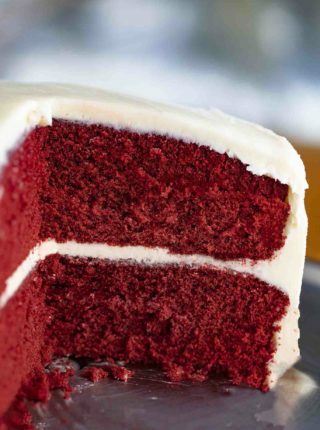 We also love classic cakes like Red Velvet Cake and Easy Chocolate Cake instead of ordering cakes at the local bakery. 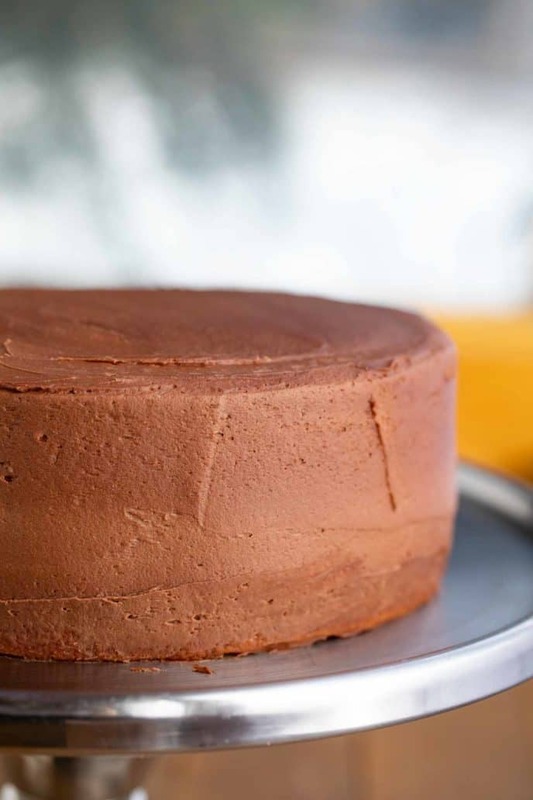 This cake is made from scratch using egg yolks, cake flour, granulated sugar, milk, and real butter, and traditionally coated with chocolate frosting or buttercream chocolate frosting. You can make this with all purpose flour with a few easy tweaks, but cake flour will give you the best texture. 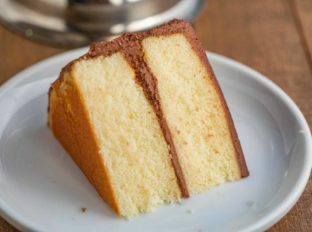 This yellow cake recipe is perfect for making layer cakes or sheet cakes, and you can make as much or as little batter as you need. I like to pair this with chocolate frosting, but it goes well with vanilla frosting, whipped cream, or just about any other flavor you’d like. Decorate with a dusting of confectioners sugar, funfetti, fresh berries, semi-sweet chocolate chips, or even store-bought decorating icing to write on the cake. WHAT IS THE DIFFERENCE BETWEEN WHITE AND YELLOW CAKE? Yellow cake and white cake have obvious differences in color, but the recipe comes down to the fat and flour in the ingredients. White cakes use a combo of shortening and butter, along with egg whites and clear vanilla extract to get the white color. While yellow cake uses egg yolks and butter, and regular vanilla. WHAT MAKES YELLOW CAKE YELLOW? This yellow cake recipe calls for egg yolks instead of egg whites, and real butter, giving it that traditional yellow color similar to custard. The egg whites are protein, and can dry the cake out. The yolks are mostly fats, which adds a lot of moistness and fluffy texture to the cake, without making it too eggy. HOW DO YOU MAKE YELLOW CAKE MOIST? Be careful not to over-mix your yellow cake ingredients, which can work the batter too much and result in a dry cake. You also want to start and end with the flour to prevent this. Don’t use margarine or butter substitute, because to get a moist cake we need to have the fats and milk solids that come from real butter. Make sure your cake isn’t over-baking and your oven is cooking at the temperature you set it to, using an oven-safe thermometer to measure it. This is a common problem, but you can adjust your set temperature up or down accordingly. You can use half granulated sugar and half light brown sugar, because brown sugar adds a lot of moisture to baking. But keep in mind that this will add a little bit of that molasses flavor to the cake recipe, too. If possible, weigh your ingredients instead of measuring them with utensils. This will be more accurate, and the amount of flour in a recipe directly impacts the texture. If your yellow cake still isn’t coming out right, try replacing the milk with buttermilk. The extra fat and acid in the buttermilk help give the cake an incredibly moist texture. Add more moisture by substituting part of the butter with vegetable oil. HOW DO YOU STORE YELLOW CAKE? Yellow cake will last on the counter at room temperature for about a week. If you’ve sliced the cake, make sure to wrap it tightly so it doesn’t go stale. Also keep in mind what type of frosting you used for this cake recipe, as some dairy-based frostings need to be refrigerated. CAN YOU FREEZE YELLOW CAKE? Yellow cake can be made a week ahead and wrapped tightly and frozen until you’re ready to serve. Take the cake out of the freezer the night before, and let it defrost on the counter. This works even better if you frost or fully decorate the cake before freezing it. Let the cake sit in the freezer for about an hour, or until the frosting layer is frozen, before wrapping it tightly in plastic wrap. Remove the plastic wrap before defrosting. HOW TO MAKE YELLOW CAKE MIX INTO LEMON CAKE? You can turn this yellow cake recipe into a lemon cake by adding a tablespoon of lemon zest and a teaspoon of lemon extract to the cake. When I do this, I’ll also make a lemon glaze and use that instead of the frosting, with fresh berries on top. WHAT KIND OF FROSTING GOES WITH YELLOW CAKE? 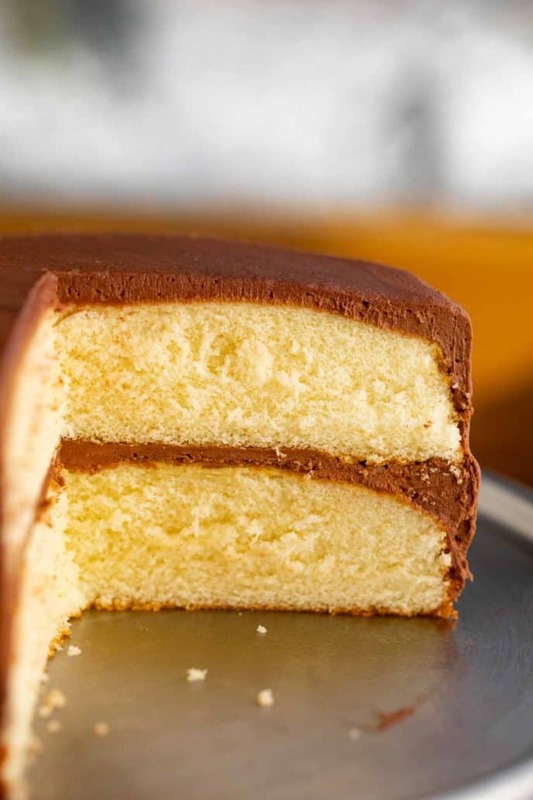 Yellow cake goes well with just about any frosting you have, but is classically served with chocolate frosting. 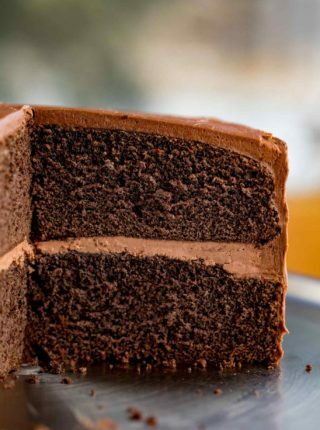 You can also use chocolate buttercream, or chocolate cream cheese frosting. I have also served this with fresh fruit, and whipped cream for a lighter version. You can make this yellow cake recipe in round cake pans to make a layer cake, or in bundt pans for a decorative cake. If you use a bundt pan, you may need to add a few more minutes onto the cook time. Cook until a toothpick comes out clean. Cake flour has a little bit less protein then all purpose flour, so it will give you a softer cake in the end. You can replace the cake flour in this yellow cake recipe with 1 cup (14 tablespoons) of all purpose flour, plus 2 tablespoons cornstarch. Lighten this recipe up by substituting some of the butter with applesauce. I like to make this cake recipe with unsalted butter because you can’t really control the amount of salt in the butter, and it can vary. If you are using salted butter, omit the salt in this yellow cake recipe. You can use this recipe to make cupcakes, just reduce the cooking time by about half. Use cupcake liners if you don’t want to grease the cupcake tin. Instead of chocolate frosting, use this yellow cake recipe to make a layer cake with whipped cream and strawberries, similar to a strawberry shortcake. You can mix the dry ingredients together, then save them as a homemade cake mix for when you’re ready to make the cake. This recipe calls for sifting the flour, baking soda, and salt together twice. Don’t skip this step, as it adds a light and fluffy texture to the cake, and makes sure all of the ingredients are evenly dispersed. Dust a cup of chocolate chips with all purpose flour, then fold them into the cake batter at the last minute for a chocolate chip yellow cake recipe! If you freeze this yellow cake recipe, let it completely come to room temperature before serving, or it may taste stale when it’s really just cold. This yellow cake recipe calls for vanilla extract, but you can use almond extract instead. Preheat oven to 350 degrees and butter and lightly flour two 9" cake pans. Sift your flour, baking soda and salt together in a medium sized bowl together twice (yes, twice). In a stand mixer cream your butter and sugar together until lightened in color and fluffy (about 2-3 minutes) before adding in the vanilla and egg yolks one at a time making sure the egg is fully incorporated before adding in the next one. Add in the baking powder, salt, then 1/2 cup batches of the flour at a time alternating with 1/4 cups of milk until just combined (beginning and ending with flour - do not over beat, this will make a dry cake - beat only until the flour is JUST combined). 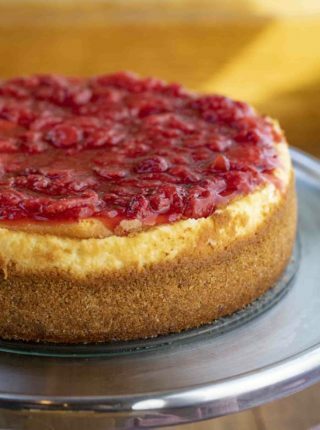 Pour into the cake pans evenly and baked for 18-30 minutes until a toothpick comes out clean. this cake looks and sounds good, but too may eggs. 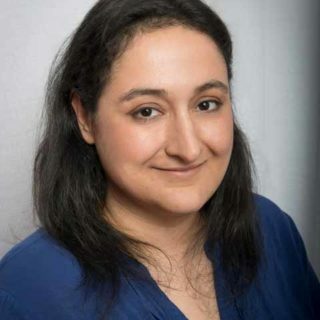 Me encanta tu pagina, todo se ve muy rico y facil de hacer, gracias. Yellow cake is my favorite kind! This looks absolutely perfect! I love it! So gorgeous and really easy to make! So glad you enjoyed it, Sandra! Perfect! I’ve been on the hunt for a moist yellow cake recipe for a looong time. Can’t wait to give this one a try! The perfect cake! Always a crowd pleaser! Today was the first time making the Yellow Cake. I asked my husband to tell me how it tasted. He said, “Yeah, you can make that for me anytime.” It was a hit! Yay!! So glad you to hear it was husband approved!